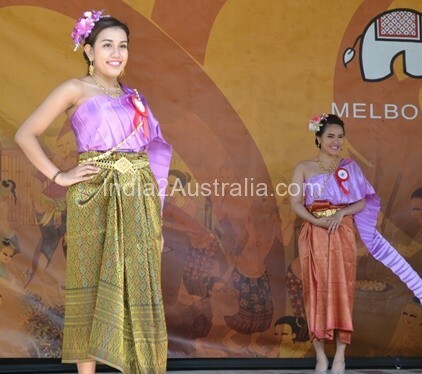 Thai Culture and Food festival in Melbourne is focused on the themes of family, fun and food. 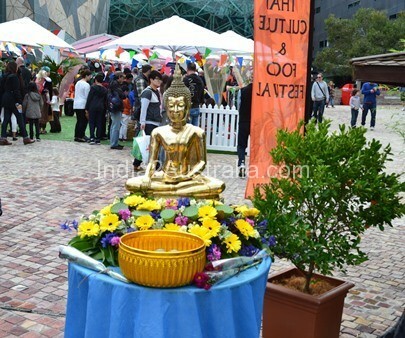 The river terrace at Federation square was filled with the aroma of Thai food and a cooking demonstration by a celebrity chef nearby; Melbourne’s Thai restaurants were serving their delicacies and there were no shortage of customers. 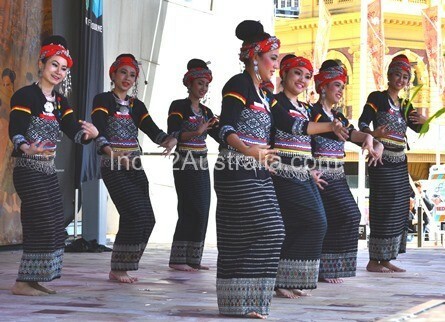 The tastes and sounds of Thailand were adding another chapter of vibrancy in the multicultural city of Melbourne. Thai culture and food Festival 2015 began by the traditional blessings by Buddhist monks. The Federation square was transferred into a haven of Thai Culture. There were stalls selling Thai art and crafts and near to it there was a demonstration of art carving of fruits and vegetables. 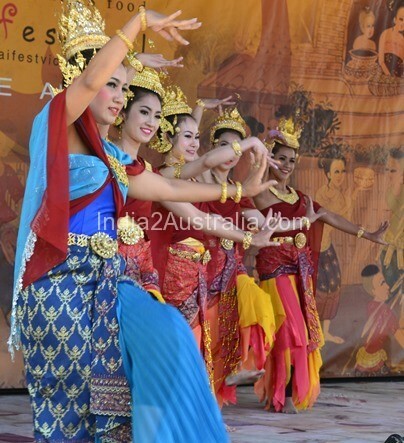 While the cultural programs, beauty contest and fashion parade went on at the main stage, the crowd was learning their first steps of Thai classical dance with performers from Thailand. Deakin Edge hosted the Muay Thai kickboxing demonstrations. 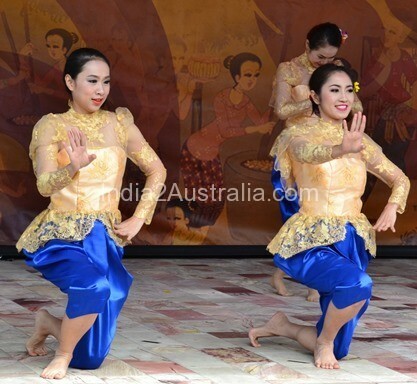 Thai community in Melbourne is relatively new but continually expanding as more and more migrants call Melbourne home. 1901 Victorian census recorded three people from Thailand. In the 1920’s then King of Thailand, Rama VI sent a noble named Butra Mahindra to Australia for purchasing race horses. In 1927 Prince Purachatra arrived in Australia with a group to learn Australian Agriculture and infrastructure. A few Thai students arrived in Australia on temporary visas after the implementation of Colombo plan. In 1966 the Thai population in Melbourne was only 240. Between 1981 and 1991 the Thailand-born community in Victoria increased four-fold from 718 to 3,038 people. In 2011 the Thailand-born community in Victoria reached 10,766 people, with significant numbers living in the local government areas of Melbourne, Greater Dandenong and Boroondara. Thailand is a monarchy headed by King Bhumibol Adulyadej, Rama IX, and governed by a military junta that took power in May 2014. The king is the ninth of the House of Chakri, and has reigned since 1946 as the world’s longest-serving current head of state and the country’s longest-reigning monarch . The capital of Thailand is Bangkok . The majority of the population is ethnically Thai.